Different Social Media Platforms: Which Is Right for Your Business? Different social media platforms: how do they vary and what does it mean to you? Social media platforms are overwhelming and confusing. If you don't believe they are, consider this. There is a big four: Facebook, Twitter, Google +, YouTube; simply massive ones: Instagram, Pinterest, LinkedIn, Reddit, Tumblr, Snapchat; local ones: Weibo, Qzone, RenRen, VK; niche ones: Badoo (for dating), Kaboodle (similar to Pinterest), GoodReads (for book lovers), etcetera. And more. If you are anything like me, you probably think there are far too many of them, and you'd be quite fine with just Facebook. But as a business owner/marketer, you should know where and how to promote your brand depending on the demographics and culture of each social network. So today we’ll go through the differences between the major social media platforms: their demographics, specificities, and unspoken rules. Let the journey begin! Whatever it is that you are selling, you should be on Facebook. The core of Facebook "culture" is friendship. Everyone from your old classmate to your grandmother's sister's husband is treated as a friend on Facebook. You "like" their photos and opinions, and you never start your message with "Dear Ms. McGonagall". Therefore, your customers should be treated on Facebook as if they are your friends. Don't get me wrong, you should still have a brand page and you are still not allowed to share your party pictures and relationship status. Friendship culture rather means a light and informal one. A peculiar thing about Facebook's algo is that it shows posts most relevant to you. These are the ones you've engaged with (liked, commented, etc.). Therefore, if you want your audience to see your promotional content, you'll have to first write posts that call for any kind of engagement. Research from Facebook and other platforms has shown that people engage the most with photos and posts that are funny and/or inspirational. Besides, posts that require you to engage (e.g., contests with rules that include "comment & share" and the like) will ensure your customers will see an update on your new product/sales/etc. as well. Of course, be careful not to intervene with your branding by following this advice. If your branding is posh and serious, don't joke around. That doesn't stop you from posting, for example, a classy picture of your posh wine. Photos on Facebook get on average 39% more engagement! Now remember all those inspirational quotes on beautiful photos? See where I am going with this? It is considered that Facebook users check the site on their lunch breaks and after dinner the most, so this is when you should post. But it is always better to test this theory on your own brand. Besides, Facebook has an option of marking other brand's pages as favorites on your business' page. Include your influencers, partners, and business connections. This is friendly :) . It is widely believed that Facebook marketing only works through paid advertising. This isn't true. There are 40 million active small business pages, while only 2 million of those businesses pay for advertising. Much fewer people use Twitter, the second biggest social network for marketing. 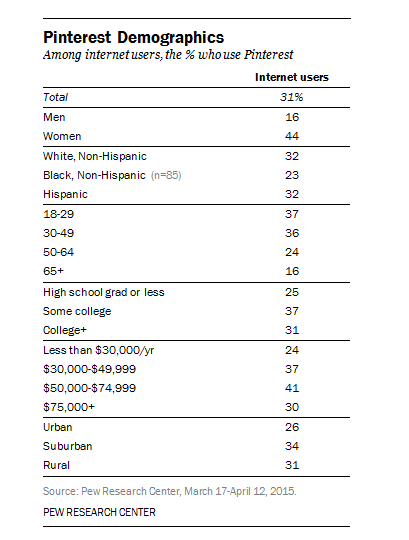 Twitter's demographics are different from that of Facebook: it is most popular among young adults and black/Hispanic ethnicity. If Facebook represents a huge room of people (a party, for example) where you know everyone, or at least someone who knows everyone, Twitter represents a news broadcasting channel. Like in the news, your time and space are very limited: you can't type more than 140 characters in your post. Your tweets should be short, catchy, to the point. Your readers are not friends anymore. They are a huge crowd with a very short attention span, ready to switch to the next channel any minute. Twitter posts are almost as fleeting as TV broadcasts. With millions of tweets being posted each second, most of your followers will never see yours. This means you should re-post it. Again, like news channels do with broadcasts. 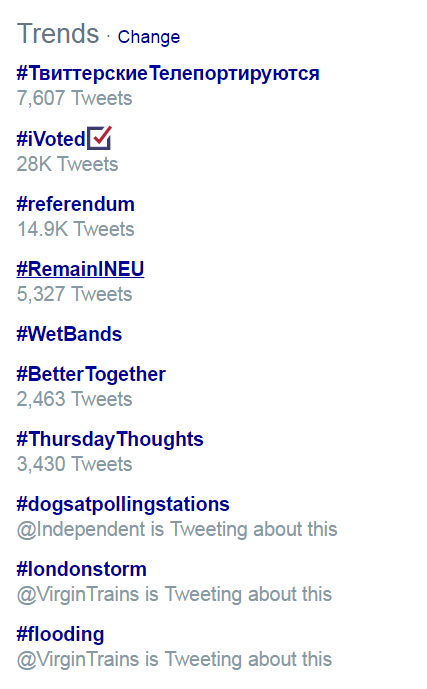 As you probably know, Twitter uses #hashtags. Use them if you want to join an existing conversation or show you are a part of some bigger following. This will expose your tweet to anyone who searches for this hashtag. The most popular (and what Twitter deems relevant to you) hashtags are seen on the left of your Twitter dashboard. Keep in mind, you can use multiple hashtags, but don't use more than three - then it looks spammy and confusing. If your brand tweet is using an existent hashtag, make sure it's relevant. Of course, you can also come up with your own hashtag about, for example, your contest. Twitter reach is utterly unpredictable. On one hand, while on Facebook only business pages can have thousands of followers, on Twitter anyone can have thousands of followers. And a lot do. So, whoever with this kind of reach shares your post will make it public to thousands. In a moment. Having said that, it is worth remembering that 391 million Twitter accounts have no followers at all, and the median number of followers is an unimpressive 61 (average 208). In comparison, a Facebook median is 200 (average 338). If you've ever studied statistics, take a moment to appreciate the lengths of error bars on the imaginary graphs. If you've given up on the idea of investing in Twitter after seeing these numbers - don't. Twitter is important, also because it is all about brands (well and politics, but brands, too). Compared to just 16% of social network users overall, 49% of monthly Twitter users follow brands or companies. HALF! I.e. Twitter users are 3 times more likely to follow brands than Facebook users. 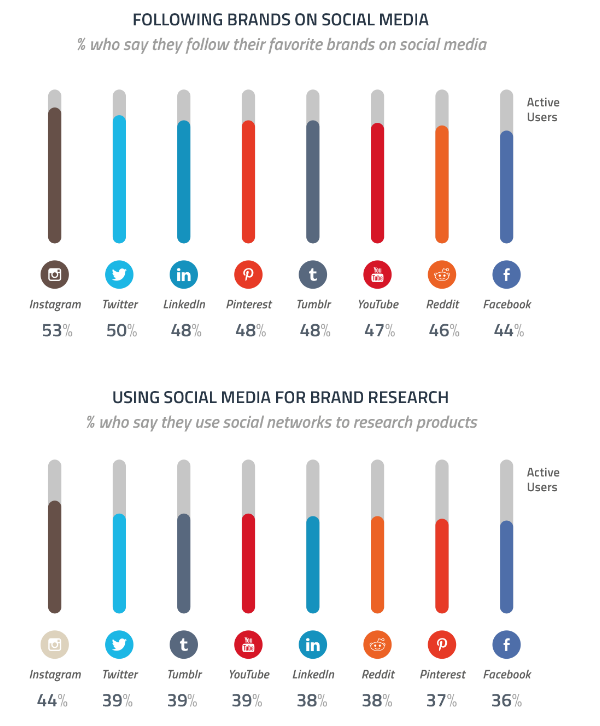 Moreover, as much as 42% learn about products and services via Twitter. 41% provide opinions about products/services.19% seek customer support. And, not surprisingly, 77% of Twitter users feel more positive about a brand when their Tweet has been replied to. Please, don't leave users hanging after they've mentioned your brand. Google + is a mysterious platform. At the same time, 375,000,000 people are registered on Google +. Which is a lot if you don't compare it to Facebook. It's pretty hard to find any demographic information on Google + — seems like either no one is interested in the network, or Google just doesn't release any information to us mortals. Which is, ironically, pretty typical for Google as a company. Other research shows that it is skewed to male even more, with up to 73% of active users being male. Top countries that use Google + are: India (the most engaged one), US (the biggest audience), UK, Canada, Brazil. For some reason (and I realise this is probably completely irrelevant to you) Brazilian Google+ users have far more ‘it’s complicated’ relationships than the other four countries sampled. Weird, right? 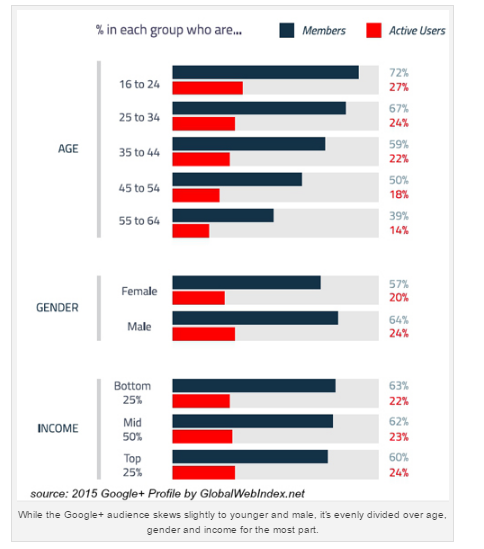 Google Plus acts as one of the social media networks for marketing 40% of specialists (admittedly, no statistic shows if this usage is effective). While the platform is debatable, to say the least, it is worth considering. Why? It is not surprising that Google would make Google Plus SEO-friendly. Posts on Google + show up in the Google search results, and a large Google + community is a huge SEO boost. 2. Google + is integrated with Google Maps. If you create a local Google+ page, anyone using Google Maps will see your business on the map. Don't forget to type in your address! 3. Some communities are very popular on Google Plus. 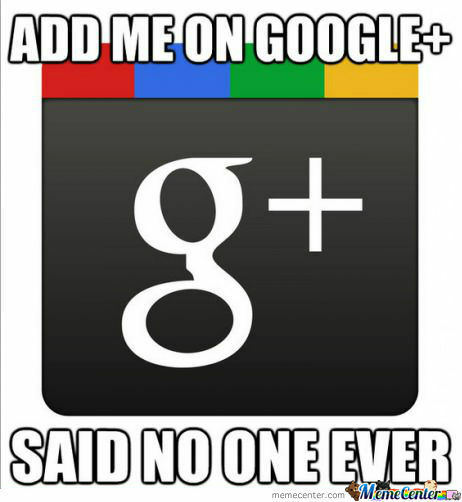 Google Plus offers users to follow others based on their interests. Some specific communities, especially photography, technology, and fashion strived on Google Plus and have acquired a large number of engaged followers. So if you are one of these guys don't hesitate and join the platform right now — your target audience is there. To summarize, the first thing you should do when considering Google Plus is to check if your niche is one of the popular ones. The second thing you should do is evaluate your SEO efforts and decide whether they need a boost. The third thing to consider is whether your business is one to put on the map. First things first, don't forget that YouTube is owned by Google. More than that, YouTube and Google Plus are integrated. So, if you have a brand YouTube channel, you have a Google + account. Second, YouTube became a second largest search engine (after Google, of course, I feel like I say "Google" a lot) without even trying. This place was fought for insanely by Bing (Microsoft's child) and Yahoo, and they both lost. This should give you an idea of the YouTube power. Now onto the stats. The total number of people who use YouTube is 1,300,000,000; 300 hours of video are uploaded to YouTube every minute, and almost 5 billion videos are watched on YouTube every single day. YouTube overall, and even on mobile alone, reaches more 18-49 year-olds than any cable network in the U.S. This is keeping in mind that 80% of YouTube's views are from outside of the U.S. Feel the power? 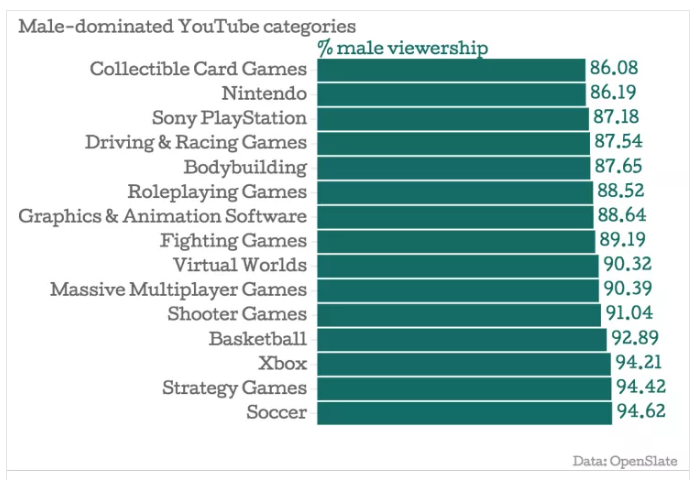 The real demographic insight comes from watching personal YouTube demographics, i.e. what kind of people watch your channel. Yes, you can set it up on the platform. For now, here's a glimpse of what are most viewed topics by gender. Don't worry, you don't have to be in the top 10 popular topics to get millions of views. That's the magic of a billionaire social media platform. Despite absolutely huge user rates, only 9% of U.S. small businesses use YouTube. Why so little? Videos on YouTube either teach or entertain. If you can't do either of it - don't YouTube. If you can - test if this kind of marketing works for you. As you can see, Instagram's population is young, mostly Black/Hispanic, and female. However, this research comes from the U.S., and it is worth noting that 75% of Instagram users are outside U.S. The interesting thing about Instagram is its role in young people's lives. First, it is the most engaged social network after Facebook. Which is a bit strange, because out of all different social media platforms, this is the one not communication-based. And how many photos can one possibly look at in a day?.. But, research is research. Second, 32% of U.S. teens cite Instagram as their favourite social network. Many teens believe Facebook and Twitter are old-fashioned, so do consider that if you are marketing to teens. And finally, branding. This is crucial, pay attention. Somehow, and I can't tell you why that is, people use Instagram to follow brands/do brand research the most. This is basically your reason to jump to Instagram marketing. Now I realise that your company might be selling something completely unphotogenic. But in other cases, Instagram is an effective marketing tool, and all you have to do is take pictures with your phone regularly (filtering is easy, I promise :) )! Pinterest is another image-based platform. It is worth noting, though, that it is not necessarily a social media platform. Communication isn't a big part of it. 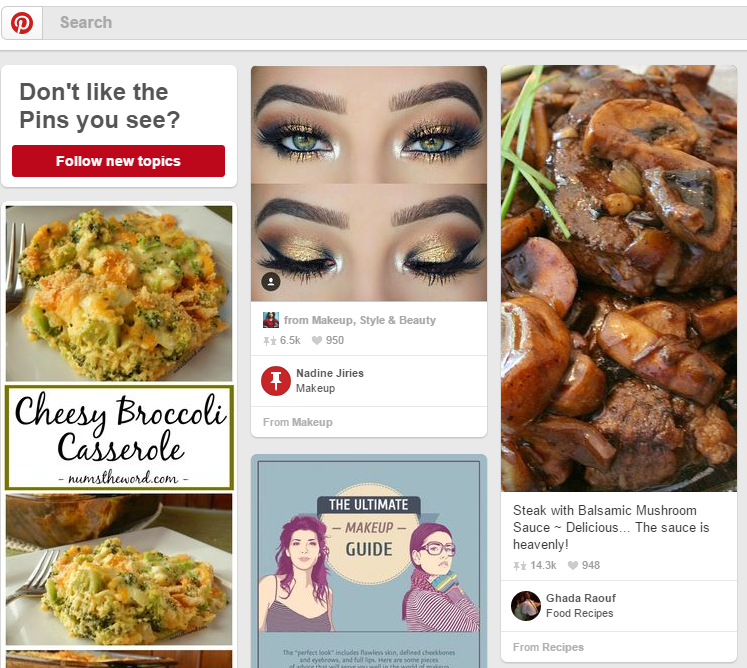 Pinterest sees itself more like a visual search engine. YouTube, however, claims they are a video-sharing platform while being the 2nd largest search engine. So, here you go, it's confusing. We'll talk about them both just in case. On Pinterest you can search for topics you are interested in, and get beautiful photos that feature tips, rules, quotes, recipes, etc. Each Pin has a link that leads you back to the source. A source is often a brand or a business. See now why Pinterest is important? Pinterest is used by as much as 31% of American internet users. 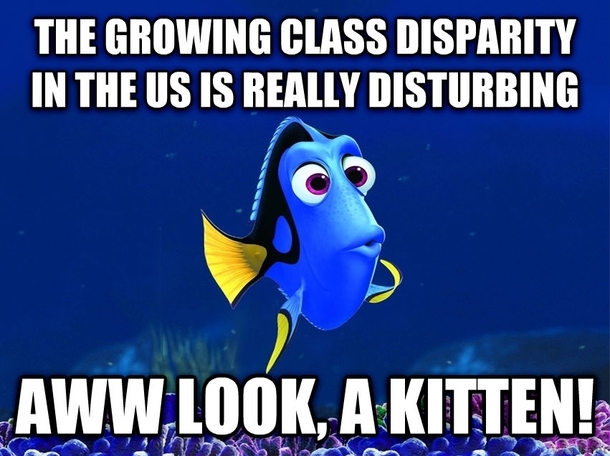 It is also growing fast in the UK, France, Germany, Japan, and Brazil. Pinterest is strongly dominated by women, although the percentage of men is growing: it has increased 73 percent in 2014 in the U.S.
Pinterest is indeed different from other social media sites. A study by market research firm Millward Brown found that 93% of Pinterest users use it to plan or make a purchase. A number of social media surveys show that Pinterest users not only buy more, they also spend more. Shopify users referred by Pinterest, for example, spend an average of $80 compared to Facebook referral of $40. Unlike many relatively new platforms, Pinterest (which is 6 years old) isn't incredibly popular among teens. Instead, it has a reputation of being a place for stereotypical housewives. It seems true from the above stats, the fact that 50% of Pinterest users have kids, and the homepage of Pinterest: while you can find images of anything at all on the platform, the first suggested (i.e. most popular ones) are of fashion and recipes. Food is also the most shared topic on Pinterest, followed by Home and DIY. So you can see where the reputation of Pinterest has come from. Besides, Pinterest is most popular among the wealthiest consumers. All in all, this platform screams "Money" if you are in the right product category. Taking a break from the photo-based entertainment platforms, we're moving to LinkedIn - almost the only platform with a serious, "selling" reputation. LinkedIn is the world's largest professional network with 433 million users. It doesn't stop at connecting colleagues, though. It also allows sharing and community building. This makes it possible for LinkedIn marketing to exist. All you have to do is share your own and someone else's quality content. This is exactly how people use it - 94% of B2B Marketers use LinkedIn to distribute their content. As evident from this and other stats, LinkedIn is mainly a platform for B2B marketing. As much as 66% of B2B marketers rank LinkedIn as the most effective social media site for their business. Moreover, 80% of B2B social media leads come from LinkedIn. Unlike most other social media platforms, LinkedIn is dominated by the middle-aged and truly wealthy. Again, the demographics of B2B. Reddit calls itself "the front page of the Internet". And they are right. Anything there is on the Internet can be found on Reddit. Anyone can post anything, and the community votes the post up or down, depending on how much they like it. With 234 million users, 26th Alexa rank (11th in the US), and multiple communities interested in millions of things, Reddit seems like an island full of treasures. It is in a way. But more often it's a minefield. Thing is, Redditors hate marketers. Really hate. There is even a special subreddit where people post about marketers trying to promote on Reddit. Users make fun of poor guys, bad mouth them, and ban, ban, ban. Some Redditors are engaged with brands on other networks (e.g., Twitter) as these kind of users are usually pretty tech-savvy. But Reddit is for fun, news, heated discussions, learning - very often learning something incredibly ridiculous - anything, but promotion. Yet, some people still risk it. Mainly, because getting on the front pages of Reddit brings you often more traffic than your website can even handle. Some marketers do indeed profit from Reddit. How? In short, they abandon all their marketing strategies and post things that they find truly fascinating. One of these things becomes whatever they are selling, in case it's relevant to the community. Many warn against repeating this practice if it worked well for you once. Posting anything about your business for the second time will result in an eternal ban. There are also some cases of huge brands, such as Nissan, that did something completely opposite - they were dead honest with their advertising campaign. And it worked very well. 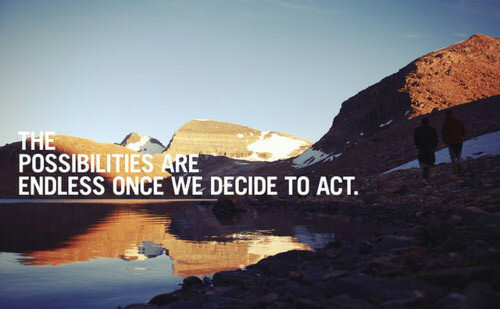 So basically, if you like the risk, may the odds be ever in your favour. Reddit's demographic is pretty much what you'd expect. Young (18 to 24 make up 30% of traffic, followed by 25% of 25-34), male dominated (roughly 66%), with the average income of $25 000 - $50 000. Besides, there is a 12:1 ratio of single men compared to single women. And in a 2011 survey, 18% of users responded that they would be “Forever Alone.” I've added this information in case you are promoting a dating website or something alike. Tumblr is a micro-blogging platform, that allows following other people and sharing their content. Tumblr counts 550 million monthly users and 280.4 million blogs. Similar to Reddit, Tumblr is a community full of smaller subcommunities, where you can find a fandom of absolutely anything. The community is much younger than that of Reddit though. 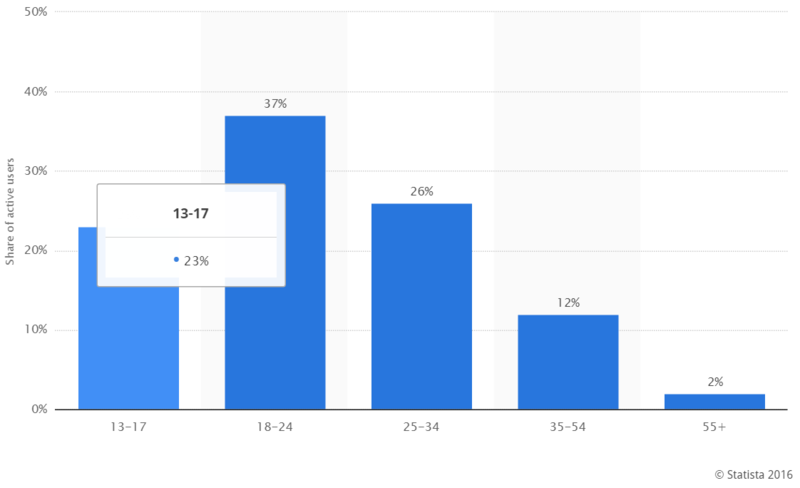 Nearly half of Tumblr users are between the ages of 16 and 24. 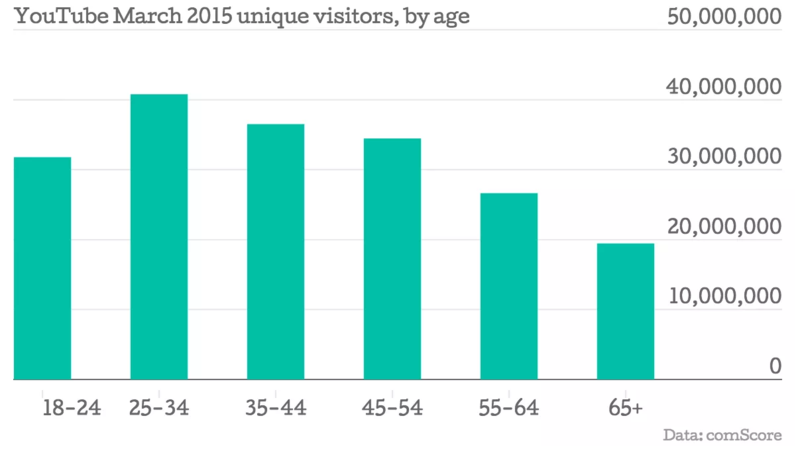 As evident even from these statistics, even the 30-49 age bracket is already under-represented on Tumblr. It's really, really young. And equally used by males and females. Again, unlike Reddit. What really differs Tumblr from other social media networks - and what should be paid attention to if you plan to market on it - is its community. First, it is very sensitive and very supportive. Many Tumblr users identify themselves as some kind of social outcasts and share thoughts, feelings, and personal stories that they can't share anywhere else. The community is a proponent of mental health awareness, offers support and advice to those going through sexual or any other identity crisis, advocates diversity, respects opinions of others, and generally offers support and understanding in cases when Facebook, YouTube, and Twitter would troll the hell out of you. Don't get me wrong - posts are not all aimed at helping you out. They are mostly humorous and sarcastic, but rarely offensive to anyone. Second, anything can be posted on Tumblr. It is not censored, and people post anything from educational content to some pretty weird NSFW (not safe for work) videos. As mentioned earlier, Tumblr is also divided into smaller communities by interests or social causes, or fandoms. Fandoms can be based around TV shows, games, books, comic books, etcetera. If your brand is connected with any of the existed fandoms, this could be a good way to let people know about it. What can we take out of all this info for marketing? First, marketing on Tumblr only makes sense if your target audience is teens and young adults. Second, follow the same rules all Tumblrs follow. Become a part of the community in a way that is related to your brand, have fun, be a bit weird. Third, remember Tumblr influencers. Users become famous on Tumblr randomly - it takes one or two really good posts to acquire followers. If such influencer shares your content (they would need a good reason for that) it will reach a lot, a lot of people. And, as in all other platforms, Tumblr also offers sponsored posts. Snapchat is a photo and video-sharing platform. It differs from all the ones discussed above in that everything you share disappears seconds after you view it. Unless you print screen, of course. Marketers were sceptic about this new ephemeral platform when it got popular, and even now only 1% of marketers have used Snapchat, despite the platform having 150 million monthly active users and being one of the most engaged ones - 65% of Snapchat users upload their own photos daily. This seems logical until we remember that brands still successfully use TV ads and even radio, which similarly can't be shared. Marketers seem to have realised this now, as it was reported on eMarketer in January 2016 that more senior ad buyers are planning to begin advertising on Snapchat than any other social media site. Again, Snapchat's demographics is young. A survey found 77 percent of college students use Snapchat once a day. This time, however, the demographics is majorly skewed towards female audience - 70% of users are female. While its disappearing nature causes challenges to marketers that other platforms don't, it also has a number of useful functions that make the platform different from anything else. There is a "Snapchat Stories" function - stories don't disappear seconds after being posted, they last for 24 hours - enough for quality brand exposure. You can draw on photos and caption them - which can be funny. Like in other platforms, there are influencers, and they can do a lot for your brand. Unlike on other platforms, though, thousands of marketers don't compete for their attention, so their services are free/cheaper. These were the major ones. Vine is a video-sharing app owned by Twitter, used by teens and millennials. It's made to film 7 seconds videos and share them on Twitter. If YouTube is about teaching or entertaining, Vine is just about entertaining. If you can make a super creative 7-second video that is related to your brand - go ahead! Quora is a question-answer site. With only 1.5 million monthly users, it almost seems unimportant. However, if you can portray your brand as an expert in something, and take the time to answer questions on Quora, that could be pretty effective. a microblogging website, "a hybrid of Twitter and Facebook"
What is the age/gender/income of my audience? Where is my audience active? What is the culture of this platform? What is this platform's relationship with brands? What niche social media sites are right for me? Do I need to be on any local sites? After you choose what social media networks (Facebook is compulsory) to market on, don't forget to go to the social media monitoring app Awario to, well, start marketing. Good luck!